Everyone loves opening a package of Gourmet Foods, especially ELKI's Gourmet Foods. 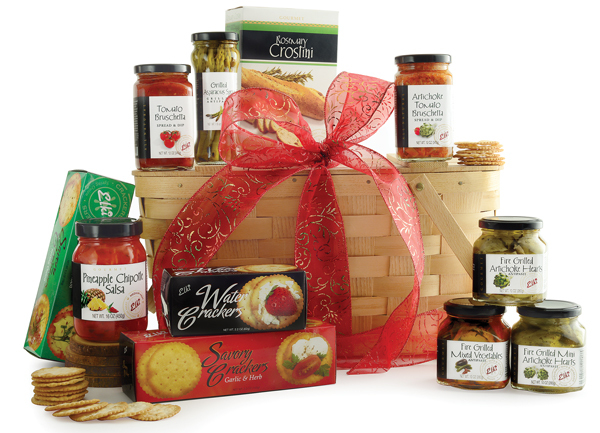 Create your own Gourmet Gift Set with ELKI's Gourmet Foods! Include ELKI's Artichoke Tomato Bruschetta; Black Olive Tapenade and Artichoke, Lemon Asiago Pesto along with a box of Spring Onion and Garlic Herb Crackers! Include a jar of Scandinavian Delight Lingonberry Preserves, Wild Blueberry Preserves and Strawberry Preserves! Include ELKI's Artichoke Bruschetta, SunDried Tomato Pesto, Green Olive Tapenade, SunDried Tomato Crackers, Crostinis, Smoky Garlic Mozzarella and Cucumber Wasabi Dip!